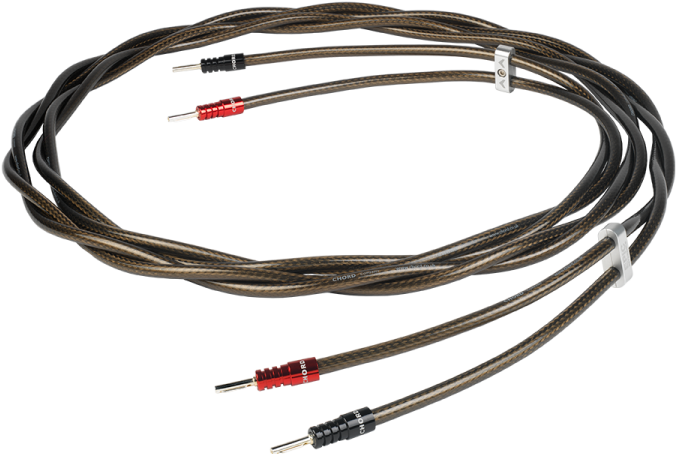 One of the best speaker cables we've ever heard suiting a wide range of systems. A highly recommended choice, supplied terminated with Chord's latest Ohmic banana plugs. Earn 600 loyalty points when you order this item. 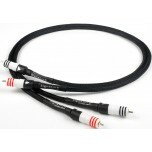 Chord Epic XL speaker cable combines elements of Chord's Epic and Signature Reference/XL speaker cables. A specially chosen soft PVC internal jacket is added to correctly space the shielding and minimise mechanical noise. A high-density braid and foil shield is applied to each set of conductors and this is in turn protected by a translucent outer jacket, again chosen to reduce unwanted mechanical noise. Each set of Epic XL is built to order at The Chord Company. The conductors are twisted together and clamped in place before being terminated with either banana or spade connectors. 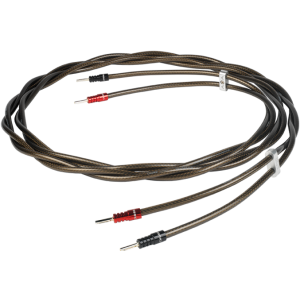 By separately shielding the positive and negative conductors of each speaker cable run, Chord can produce a version of Epic that sounds markedly more refined and musically coherent. It’s particularly good at carrying micro-dynamics and detail and brings great separation and definition to instruments and voices. Source components and loudspeakers are evolving. The level of resolution that used to be the preserve of high-end audio has trickled down to some surprisingly affordable designs. The downside is that they may well show you things you don’t want to hear – like your cables! Epic XL takes a crucial step forward in performance by using separate shields for each conductor. That means neutrality, less noise, a bigger and more immersive soundstage and most of all, it means getting new joy from your existing music collection. Listen to a set in your own system, It’s a cable that can transform a good system into something quite spectacular. Select your choice of lengths from the drop down options above. All options are supplied terminated with Chord's latest Ohmic 4mm banana plugs (8 of these are included fully fitted with every pair).